When you see a tutorial on how to make cookies, do you follow the steps exactly? 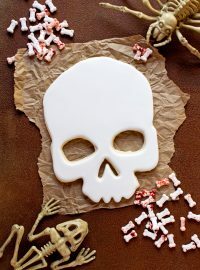 Shake things up a little and use the tutorial with a different shaped cutter. It is great practice to teach your brain how to look at cutters in a creative way. 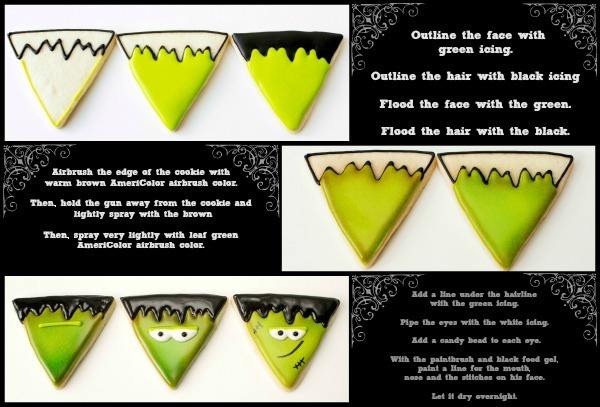 Take these little monster cookies for example, you can make them with a number eight cutter or a triangle cutter. 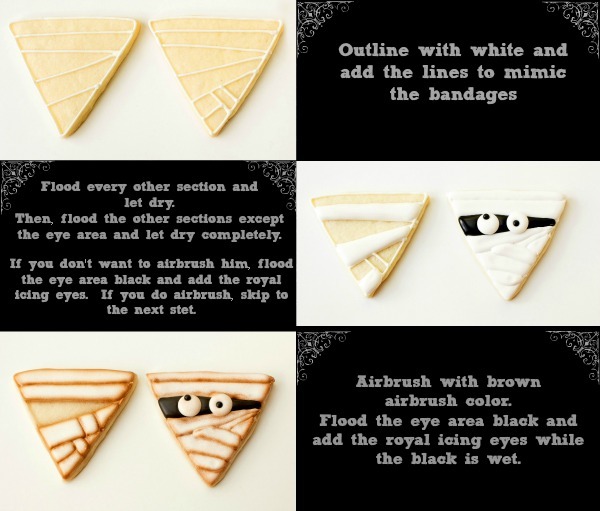 It is the same tutorial that was used for The Little Monster Cookies except, instead of using a number eight cutter, these were made with a triangle cutter. 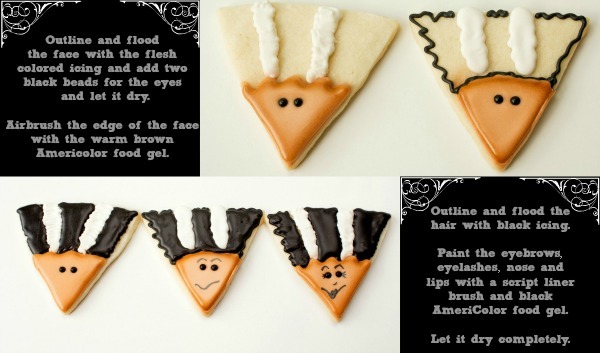 You could also use a circle, square, or even a plaque cutter and get different cookies with the same results. 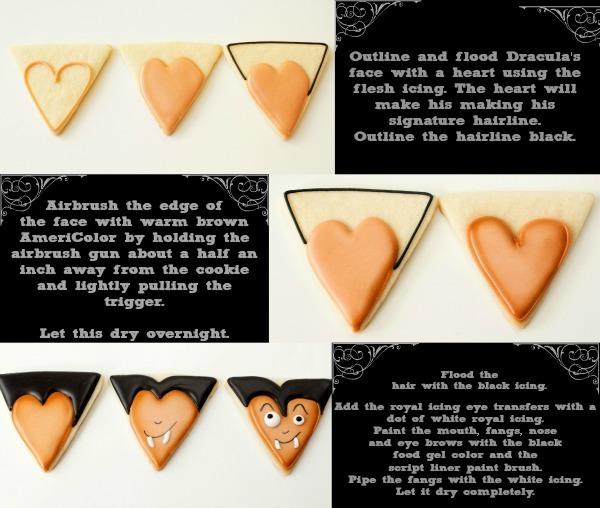 Halloween cookies are perfect for experimenting with cutters, because cute shapes make cute cookies. See, they look the same with a fun new twist. 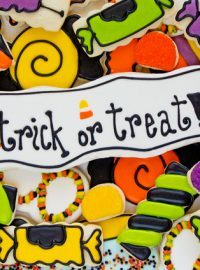 I am going to keep these instructions short and sweet because all you have to do is follow the tutorials for the little monster cookies with a few slight changes. Making Halloween cookies is easy because you can transform almost any cutter into a cute little creature. 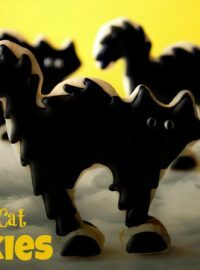 Lila Loa made some of the cutest monsters out of square cookies. 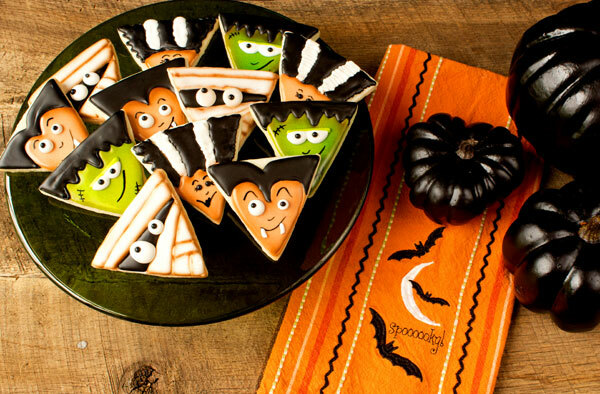 They are some of the cutest Halloween cookies of all time. I hope you will read a tutorial, grab a cutter that you normally wouldn’t use and have some fun. Get crazy and see what happens. 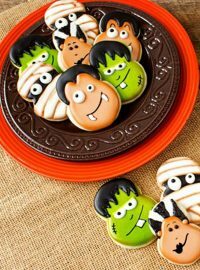 If you don’t want to make monsters like Frank, Dracula or the Mummy, you can always go for cute mosters made out of flower cookie cutters. Thanks Paula! I had fun making them. Another adorable design! 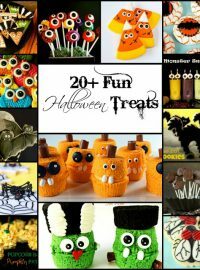 You have me wondering why I have an excessive amount of Halloween cutters, when all I really need is a few basic shapes! Love how you think outside the box! TFS! Your characters always have so much “CHARACTER”! I need to spice it up a little! SOOOOOOOOO inspired! You don’t need to do anything!! You and your cookies are perfect the way they are!!!! Thanks Tesei! 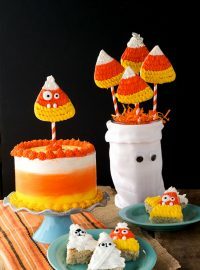 Happy Halloween to you!! Oh my goodness, I just seem to LOVE everything you do! The dimension with the airbrush is fabulous! You are truly an artist, Lisa! Thank you Sue! You are so sweet and just made my day! I love how you think – and I love your tutorials! I really need to get my airbrush out again, I just love the look! You do need to get your airbrush gun out Kim. It looks good and it is so much fun. You’re expanding my cookie cutter brain! 😉 Totally creative, Lisa! You and your cookies are fabulous!!! I love the same shape, different designs! Your imagination is inspiring! I am so bad about following directions … always trying shortcuts … you have inspired me to change my ways and get an air-brush!